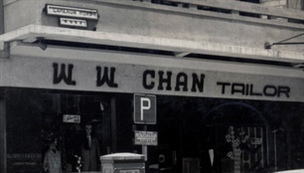 Since 1952, W.W. Chan & Sons has consistently served an exclusive niche of the elegant men in Hong Kong. We are much honor the legend of W.W. Chan & Sons' family in of bespoke industry has been written with many of our clients. All the garments we made are of the highest quality, and this style has been passed down from generation to generation. W.W. Chan & Sons not only inherits the most authentic Shanghainese traditional cutting and craft style, but we are one of the few who have preserved the dying art, knowledge and processes of traditional menswear. The history and heritage of our brand gives life to clothing and will bring real enjoyment to your life. Springing from the fertile creative history of Shanghainese suiting, W.W. Chan is one of the original “Red Gang” tailoring lineages who has maintained the traditional processes and art of the creation of a bespoke men’s suit. 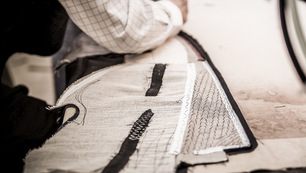 The Chan concept of Bespoke Tailoring is to preserve the essence of bespoke and the trusted principles of quality suiting, yet evolve using the finest of techniques and the acknowledgment of the myriad developments in styles, preferences and society. 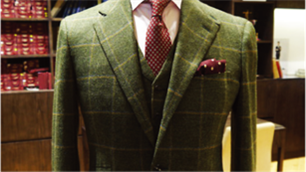 Since 1952, W.W. Chan & Sons has consistently served an exclusive niche of the elegant men of Hong Kong..